Do you know that there are some real honest sayings a man doesn’t want to hear? The same way a woman doesn’t want to hear some things a man says is also the same way a man doesn’t want to hear some things a woman says. 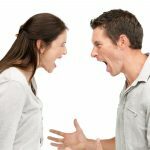 We all react differently to things we hear but from experience and research, I have discovered that men would not take some things lightly. 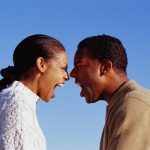 As a man, how many times have you felt angered by some things said by women? I am sure the answer would be “numerous times,” am I right? Have you ever felt like smashing her head against the wall when she opens her mouth to speak at times? I am sure the feeling is mutual for all men but that’s what makes us special. 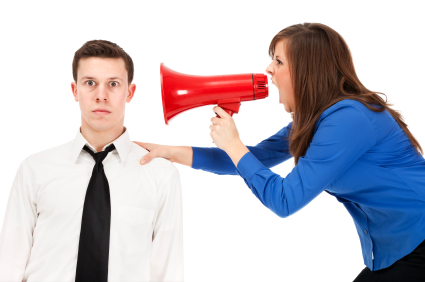 Women are known to be chatter boxes and so it’s not surprising if men get angry with them once in a while. 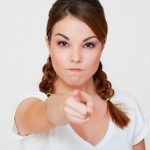 There are some sayings women make that men don’t like and you will see some of them in this article. No man wants to be compared with another man and so when you tell a man this, you make him feel less of himself. A woman might say this out of anger but when this is uttered, it takes a toll on the man it is directed at. A lot of women say this when they are either frustrated or tired of the situation of things in the home. This is one of the real honest sayings that is very common with the women folk. When you say this, you make the man start wondering if he made a right choice marrying you. I believe you wouldn’t want him regretting his actions, would you? Of all the real honest sayings, this is the most commonest used by women. This demoralises him and makes him think he is not worthy to be your husband. Any man who hears this from any woman will definitely feel it in his bone marrow. Such an abuse eats deep into the heart of a man. When women are angry, they say a lot of things they do not mean. Telling a man you hate him is just not good at all. How would you feel if a man tells you that? As a man, if you ask a woman something and she says “nothing” then that means something she isn’t telling you. Guys are straight forward people and when women beat about the bush, they don’t like it. Why act like you’re okay when you’re not. Isn’t it better to open up and say the truth? This is one of the real honest sayings women use a lot. Telling a man this makes him wonder why you dated him in the first place. It not only makes him feel low but unimportant. How else do you want to insult a man or make him angry? If he’s good for nothing, what are you doing with him? Of all the real honest sayings, this is the lowest. A man takes pride in his sexual escapades so to tell him this would make him regard himself as not man enough for you. You will make him start wondering how he can satisfy you totally. These real honest sayings are a normal part of a woman’s life and circumstances make them voice it out. As a man, how many of these real honest sayings has a woman told you before? If you really enjoyed reading this, share with your friends using any of the social media icons below.